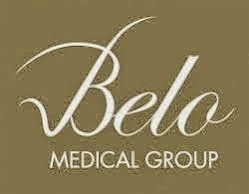 For the episode 3, Season 7 of Belo Beauty 101, premier actor and fashion icon, Ruffa Gutierrez, shares her personal experience about Stem Cell Lipo. 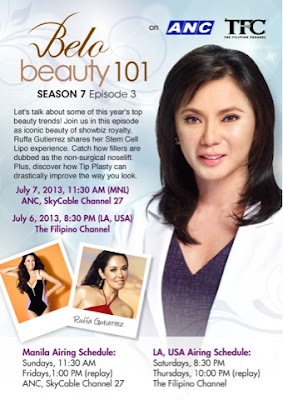 The same episode will also tackle a non-surgical nose lift a.k.a "Fillers". Belo Beauty 101 airs on Sunday, 11:30am, on ANC, SkyCable Channel 27. 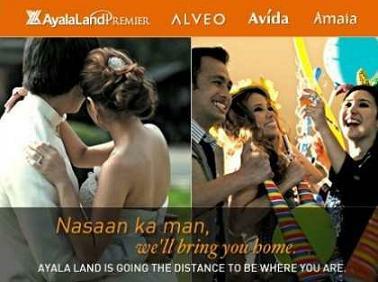 See other telecast on attached Belo poster.